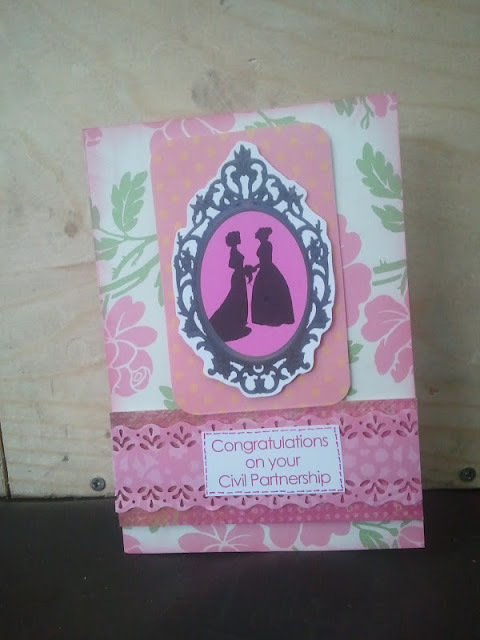 I had some request recently for Civil Partnership cards. These are my first four designs, and I'll definitely make more as there was a really positive response when I posted one of these pictures on Facebook. 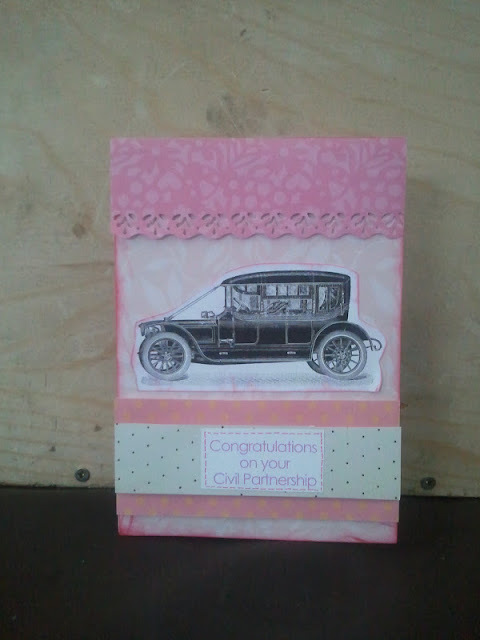 Anyone who has ordered one before from me said it's nearly impossible to find them let alone get a nice handmade one. 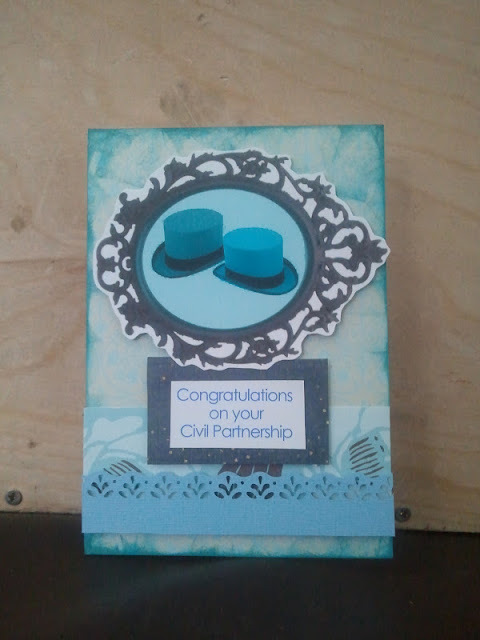 I'm pretty low on wedding style papers, so after I restock I make a larger range of these cards. Obviously I'll need to make all my own designs for the central image as it's not something you can buy off the shelf in a card supplies shop. I want to design a range of both fun and elegant cards. 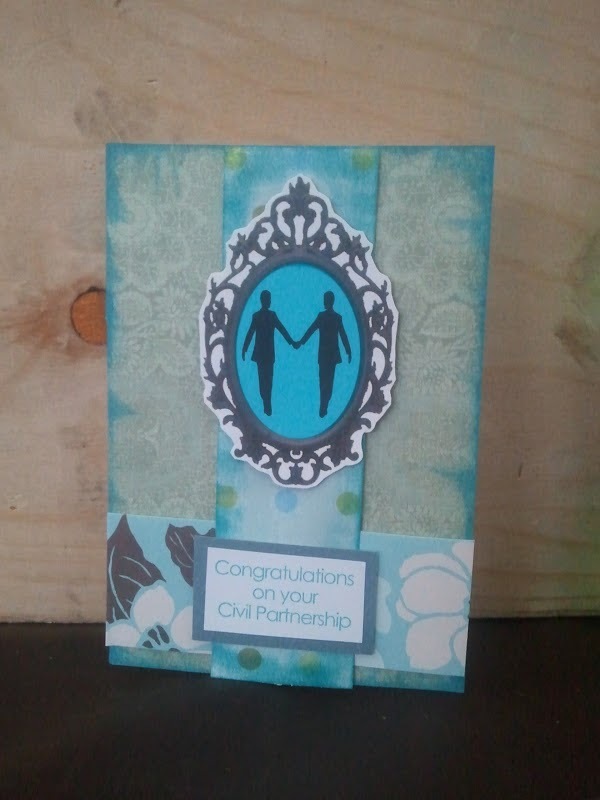 I don't normally sell my handmade cards online as it adds a lot of extra work for not much return, but I would be tempted with these as I feel there would be a bigger demand for them there rather than at the market.